Renault Identité is a custom typeface designed in 2004 by Jean François Porchez for Renault group, via Publicis worldwide. The new typeface was developed from the Renault lettering created by Eric de Berranger, will cover all latin languages. 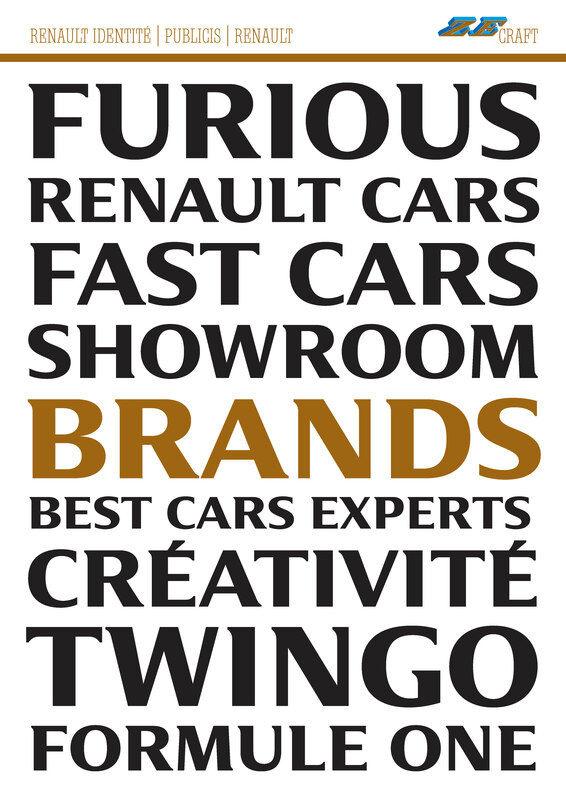 Built in OpenType format, the use is restricted to Renault brands in various countries. Its an exclusive typeface.